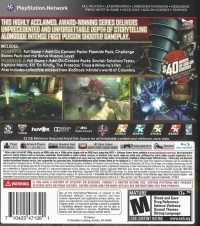 Box Text: THIS HIGHLY ACCLAIMED, AWARD-WINNING SERIES DELIVERS UNPRECEDENTED AND UNFORGETTABLE DEPTH OF STORYTELLING ALONGSIDE INTENSE FIRST PERSON SHOOTER GAMEPLAY. 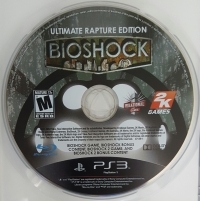 This is a list of VGCollect users who have BioShock Ultimate - Rapture Edition in their Collection. This is a list of VGCollect users who have BioShock Ultimate - Rapture Edition in their Sell List. 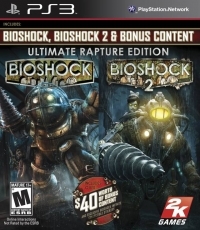 This is a list of VGCollect users who have BioShock Ultimate - Rapture Edition in their Wish List.